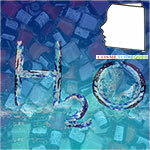 Home Articles Cosmetotheque Products Nail polish with water&nbsp: where are we&nbsp? In the great saga of nail polish, one question has come up repeatedly for many years, that of water-based varnishes. Long reserved for children, a marginal market, they continue to arouse interest. What has happened so far? We asked an expert on these issues to give us an update. Jean Claude Le Joliff. The nail polish market has been growing very strongly for several years and has more than doubled since 2006. With 7.4 billion units sold, it generated sales of 46.5 billion euros in 2012. The proportion of water-based nail varnishes remains marginal compared to the volumes of solvent-based varnishes, despite the potential to reduce solvent emissions they represent. The technical and regulatory constraints specific to this type of varnish are undoubtedly an explanation for this small market share, but it remains certain that the switch from solvent technology to aqueous technology will be linked to the quality of the products offered. This technical difficulty in formulating an aqueous nail polish is related to the physical state of the polymer binder, which is not solubilized in water but suspended in the form of particles smaller than 150 nm. The stability of this suspension must be maintained during the preparation of the varnish. The whole art consists in choosing and introducing the other ingredients of the formulation in order to obtain the desired properties and effects, while taking care not to destabilize the preparation. The final varnish must also retain its stability for several years. The manufacture of water-based nail polishes also requires investments and precautions to avoid contamination by micro-organisms. Each varnish is therefore checked at the end of manufacturing to verify their absence. The main advantage of water nail polishes is of course a lower ecological impact due to the absence of solvent. A nail polish being composed of about 70% solvent, it is understood that their replacement by water considerably reduces the emissions of volatile compounds into the atmosphere. The use of water also reduces the risks associated with the high flammability of solvents, whether at the domestic or industrial level. The absence of solvent also means that the nail is less aggressive when applying the product, even though some water-based nail polishes require a remover to remove make-up. Finally, the application of a varnish in aqueous phase presents more comfort to the application, because of the absence of odour related to the presence of solvent. Although the drying time for water-based nail polishes is longer than for varnishes in solvents, it is still very acceptable and is between three and five minutes, depending on the type of varnish. It must be admitted, however, that it is difficult to obtain certain properties that make the strength of varnishes in the solvent phase, such as hardness and, above all, nail hold. At the present time, a garment of more than three days with a water-based nail polish is not an option. Paradoxically, the cost of a water-based nail varnish is also higher than that of a solvent varnish due to the lower volumes manufactured and higher raw material and manufacturing costs. These varnishes are placed in the same market segment as air-drying solvent varnishes, but are formulated in water. They must therefore have the same characteristics in terms of ease of application, appearance on the nail, durability. The choice of raw materials, in particular the polymer binder, makes it possible to approach the desired characteristics. Although some progress has been achieved in recent years in terms of gloss, hardness, rendering on the nail, etc…, it must be said that the durability is still lower than that of solvent varnishes, but a three-day hold can still be obtained. These varnishes are removed using conventional solvents and are sometimes more difficult to remove than their solvent phase counterparts, due to the high molecular weights of the polymers used to formulate them. This type of varnish is probably the most flexible for the consumer and is the most environmentally friendly when it comes to solvent emissions. It can be the varnish of a day or an evening, because it is removed by simple peeling without any solvent. It is thus very easy to remove it in the evening and thus to let breathe the nail during the sleep. It also allows you to match each morning the color of your nails to your daytime outfit. And all this practically without solvent emission, and therefore odourless, because formulated in water and solvent free make-up remover! This is achieved by the careful selection of the polymer binder and formulation additives. In addition to their ease of peeling, these varnishes also have sufficient nail hold (up to more than one day), high gloss and good water resistance. The market for nail polishes for children is not negligible. The problem of holding on the nail obviously does not arise in this case, because the varnish must be very easily removed to avoid any aggression of the nail in the child. Peelable varnishes can be used and some can be found in markets specially designed for children. However, a range that can be removed under the tap with soap has been developed and is widely marketed, because this type of make-up removal is the simplest for the child and requires less involvement on the part of parents. Nail polishes must comply with cosmetic regulations. The choice of certain ingredients is limited by positive lists that list the permitted raw materials. This is the case for dyes (or pigments) and preservatives (biocides, antifungals). The other ingredients must not appear on the prohibited product lists and must not be toxic, of course. In addition, the profession increasingly requires that all ingredients in the nail polish formulation be registered on the cosmetic ingredient file with an INCI name, which is the international nomenclature of cosmetic ingredients. This means that the use of a non-prohibited raw material must be subject to INCI registration if it has not already been done elsewhere. This represents a relatively modest cost but requires the agreement of the raw material manufacturer to disclose a chemical name. One problem, particularly with colouring matters, is that positive lists are not common worldwide. Thus the colouring materials authorised in Europe are not necessarily authorised in the USA, Japan or China. In addition, some, approved worldwide, are not usable in water nail polishes because they tend to stain the nail. It is then very difficult to develop aqueous nail polish ranges with attractive colours that can be marketed worldwide, which is a huge constraint for brands and manufacturers. The list of authorised preservatives continues to shrink as legislation evolves as toxicological tests are constantly carried out, making it even more difficult for the formulator to find an effective preservative system capable of preserving nail polish for years against the development of bacteria and moulds. To this must be added the precautions taken by certain brands which prohibit in their formulas raw materials that are authorised but subject to bad press, sometimes unjustified. Azo dyes, for example, are now one of those ingredients that some would like to avoid, but there is no alternative for obtaining the colour ranges that are particularly popular in the varnish market. The choice of raw materials for the formulation of water nail polishes remains limited due to the obvious need to use ingredients free of toxicity and due to the regulatory constraints specific to cosmetics applying to nail polishes. This limits the technical development paths and impacts the possibilities of improving the properties of these varnishes. The development of specific raw materials could probably break certain technical barriers, but the current relatively low volumes do not encourage raw material manufacturers to invest in this area. Despite difficult conditions, very interesting concepts have been developed, such as"peel off" varnishes that combine ease of use and flexibility, a beautiful appearance on the nail with a reduced impact on the environment, which should interest some consumers who love change and want to let the nail regenerate while they sleep. This contribution was made by Serge Magnet. Serge graduated as an engineer from the École de chimie de Lyon CPE (ESCIL) in 1985, then obtained a PhD in macromolecular chemistry in 1989. He spent part of his career in R&D on polymer synthesis and their application in paint, notably at ICI Paints, Eliokem (formerly Goodyear Chemicals) and Synthron. Since 2013, at Fiabila , he is in charge of the development of nail polish in aqueous phase. A water-based varnish formula is generally composed of: - a binder: acrylic polymer dispersed in water, - water as the dispersion medium, about 60% of the formula, - coalescing agents to help film formation, which evaporate when the film dries: these are mainly polyethylene glycol ethers, - anti-foaming agents, - thickeners: acrylic or polyurethane thickeners, - preservatives or biocides/fungicides: any of the positive list of cosmetics can be used, such as some authorized parabens or phenoxyethanol, quite common, - dyes or pigments (positive list), - dispersants for pigment dispersion: specific for water-based varnishes, they allow the dispersion and stabilisation of pigments in the form of very fine particles and therefore good colour development, - possibly surface additives to"smooth" the surface of the varnish film and make it more hydrophobic: these are generally silicone derivatives. Information on water-based varnishes for children can be found by reading again this article published by the Observatoire des Cosmétiques in which the standard formulations are shown, some of which are given below. Ingredients Aqua (Water), Styrene/Acrylates copolymer, PPG-3 Methyl ether, Phenoxyethanol, Sodium bicarbonate, Lithium magnesium sodium silicate[nano], Acrylates copolymer, PEG-12 Dimethicone, Disiloxane, Ethylhexylglycerin, Bentonite, Tetrasodium pyrophosphate[Nano], Tocopherol, May Contain (+/-) : CI 77891 (Titanium dioxide), CI 11680, CI 77007 (Ultramarines), CI 73360 (Red 30 Lake), CI 74260, CI 74160, CI 15880 (Red 34 Lake), CI 77491, CI 77492, CI 77499 (Iron oxides), CI 15850 (Red 6 Lake, Red 7 Lake), CI 77266[nano] (Black 2), CI 42090 (Blue 1 Lake). Ingredients : Water (Aqua), Acrylates copolymer, PPG-2 Methyl ether, PEG-7 Glyceryl cocoate, Diisobutyl glutarate, Disiloxane, PEG-150/Decyl alcohol/SMDI copolymer, Ethylhexylglycerin, Hectorite, Diisobutyl adipate, Diisobutyl succinate, Bentonite, PEG-12 Dimethicone, Phenoxyethanol, Propylene glycol, Mica, Styrene/Acrylates copolymer, Tocopherol. May Contain (+/-) : CI 77007 (Ultramarines), CI 15880 (Red 34 Lake), CI 15850 (Red 7 Lake), CI 77891 (Titanium dioxide). Ingredients Aqua, Styrene/Acrylates copolymer, PPG-3 Methyl ether, CI 77891, Phenoxyethanol, Sodium bicarbonate, Lithium magnesium sodium silicate [nano], Acrylates copolymer, PEG-12 Dimethicone, Disiloxane, CI 77007, Ethylhexylglycerin, Tetrasodium pyrophosphate[nano], Bentonite, Tocopherol. Ingredients Aqua, Styrene/Acrylates copolymer, PPG-3 Methyl ether, Synthetic fluorphlogopite, CI 77007, Phenoxyethanol, CI 77891, Hectorite, Disiloxane, Sodium bicarbonate, PEG-12 Dimethicone, Propylene glycol, PEG-150/Decyl alcohol/SMDI copolymer, CI 15880, Ethylhexylglycerin, Tin oxide, Bentonite, Tocopherol. Ingredients Aqua (Water), Styrene/Acrylates copolymer, PPG-3 methyl ether, Phenoxyethanol, Hectorite, Disiloxane, Sodium bicarbonate, PEG-17 Dimethicone, Titanium dioxide (CI 77891), Propylene glycol, PEG-150/Decyl alcohol/SMDI copolymer (CI 74160), Ethylhexylglycerin (CI 11680), Bentonite, Tocopherol.